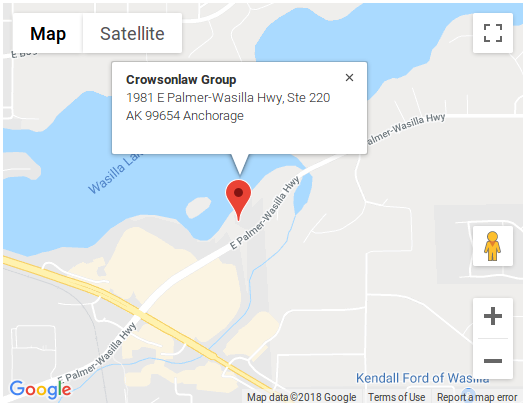 The Alaska personal injury lawyers at Crowson Law Group help injured people just like you. If you have been injured anywhere in Alaska — whether in a car accident or other harmful events — we will work to get you full and fair compensation for your injuries. We will be available to help you every step of the way and we will work hard to get a good settlement in your case. Accidents can be terrible and frightening experiences — even more so when they result in serious injury. Injured accident victims not only have to cope with significant physical pain, but also worry about medical bills, car repairs, lost wages, and insurance paperwork. To be sure your bills are paid, you often need to act fast to make insurance claims or get evidence about the accident. This is a time when an injury attorney can help most. We stand up to the insurance companies — so you don't have to. We have seen enough of these cases to know that a big settlement doesn’t solve all of your problems. However, settling too soon or for too little money can make those problems even worse. We want to ensure our clients receive the best possible compensation for their traumatic experience, and we work hard to make it happen. Our experience in the insurance industry provides us with rare perspective and insight into the methods and strategies of insurance companies. We use this knowledge, along with our reputation as strong litigators, to convince insurance companies to pay our clients a fair settlement. We serve you at no cost until you win. Our personal injury lawyers charge nothing until you have received reimbursement for your accident or injuries. If your car was damaged, we're happy to help you settle your claim for vehicle damage at no cost whatsoever. We are always available — and we speak your language. 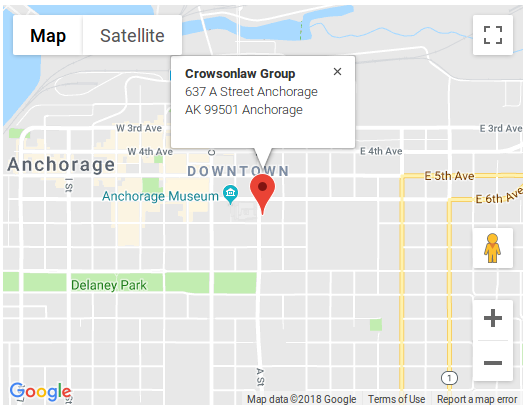 Crowson Law Group is available by phone 24 hours a day, 7 days a week. And, if you are injured and cannot come to our office to meet with us, we will come to you. Finally, we strive to talk to our clients in the language that makes them most comfortable. In addition to English, our staff and interpreters speak Spanish, Thai, Hmong, and Lao. We welcome you to learn more about why clients choose us or to hear from our clients in their own words. Not sure if you need a personal injury attorney, or how an attorney can help in your case? See our Free Alaska Accident and Injury Legal Resources. When you are ready, contact us for a free, confidential consultation. With law offices in Anchorage and Wasilla, we help individuals and families everywhere in Alaska. Are you prepared to handle a car accident if and when it happens to you? The easy-to-read book "Right Turns Only" makes sure you're ready. And it's TOTALLY FREE! I made the phone call [to Crowson Law Group], and it was such a relief. Talking to James and then to Danny—it gave me hope, because I thought my life was over.